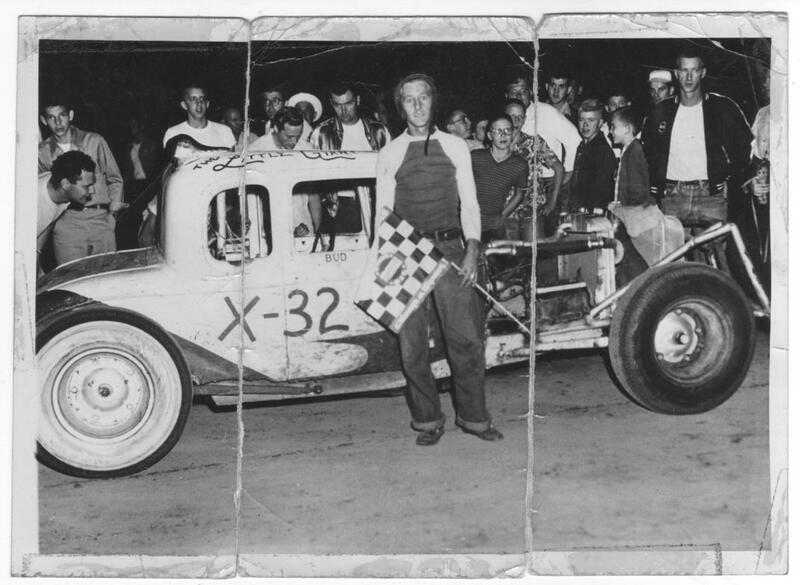 feature winner at Bushnell, Illinois in the 50`s. Built by Bill Curtis, Neil Swartzbaugh, and Bud Kinsel. Driven by Bud Kinsel. My Dad, Bud Bevard told me he raced in Bushnell and he remembers racing with Bud Kinsel. I posted a few pictures of some of his cars on this website, I wish I knew more about the pictures so I could add more comments, but I am just happy to have them. My dad lives in Thornton Colorado at this time, he still restores classic Mustangs and I have seen many of those old trophies he won back in the 50`s from dirt tracks in Illinois. This is a great website. Thanks for this post. My dad is Neil Swartzbaugh and I`m anxious to share this with him. He`s one of the most wonderful men I know of course!. He`s 75 and building an airplane with my 19 year old daughters. When I was a child, he drag raced. His race car was called The Pink Panther and that`s what their naming their plane. He will always be a thrill seeker! Thanks so much!! Sorry, you must be logged in to post comments.